He is undoubtedly one of the world’s most exciting young talents, and now Eddie Redmayne has joined OMEGA as an International Ambassador. Selected for his remarkable acting skills and distinguished style, he is a superb addition to OMEGA’s already impressive ambassador family. 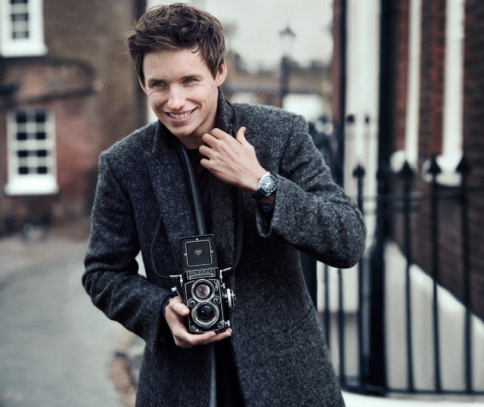 Eddie has risen to stardom in recent years with unforgettable performances both on stage and in film. He won a Tony Award for Best Actor in 2013 for his performance in Red, and followed with film roles in Les Miserables and My Week With Marilyn. He gained global recognition in 2014 for his portrayal of Stephen Hawking in the renowned bio-pic The Theory Of Everything, for which he won the Oscar, BAFTA, Golden Globe, and Screen Actors Guild Award for Best Actor. Along with George Clooney, Nicole Kidman, Rory McIlroy, and Cindy Crawford, Eddie Redmayne is the next big name to join OMEGA. The British actor is the first signing since McIlroy in 2013.